A River of Divine Love flows through all of creation. 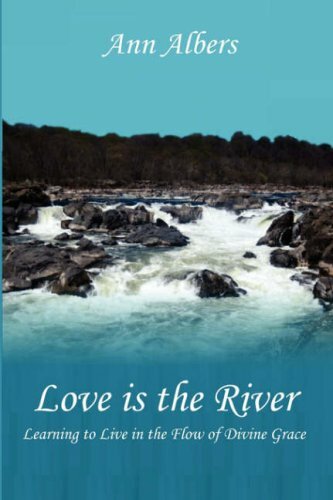 This River has been known by many different names, among them: "Holy Spirit," "breath of God," "Divine Grace," "quantum field," "kupuri," "prana," "chi," and simply "Life." There is a power greater than any of us as individuals that guides our collective interactions if we pay attention. The currents of grace gently tug at you in each moment of your life, nudging at your heart, suggesting thoughts, words, and deeds that will guide you to a more joyful existence if you pay them heed. Guided by spiritual instructor and angel communicator, Ann Albers, you will learn to navigate the currents of Divine grace in your own life so at long last you can release the struggles in life, enlist Heaven's help, and surrender to the greatest love you have ever known.